" https://static.missguided.co.uk/skin/ frontend/mgresponsive/default/fonts/missguided/missguided- light.woff2 "
Homepage images received but page hasn’t started rendering yet What’s delaying rendering? Median Page Load Time (s) 0 2 4 6 8 10 12 14 Week 0 Week 1 Week 2 Week 3 Week 5 Week 5 Android iOS So what happens when you remove it? Median Page Load Time (s) 0 2 4 6 8 10 12 14 Week 0 Week 1 Week 2 Week 3 Week 5 Week 5 Android iOS Removed for Android visitors only So what happens when you remove it? Nothing stays still in retail! <picture> <source type = "image/webp"
<source> tag for content negotiation selection to specify webp for chrome and jp2 for safari. For example: <picture> <source type = "image/webp"
</picture> However, the HTMLPreloadScanner only considers the media query when selecting (or not) the appropriate <source> element. As a result the preloader greedily selects the foo.webp and then later requests the correct foo.jpg. It should also evaluate the `type` attribute. Linking revenue increases to performance improvements is still hard… Many other factors to account for including: Pricing Promotions New brands Trends Seasonality etc. Did we make it to 3 seconds? 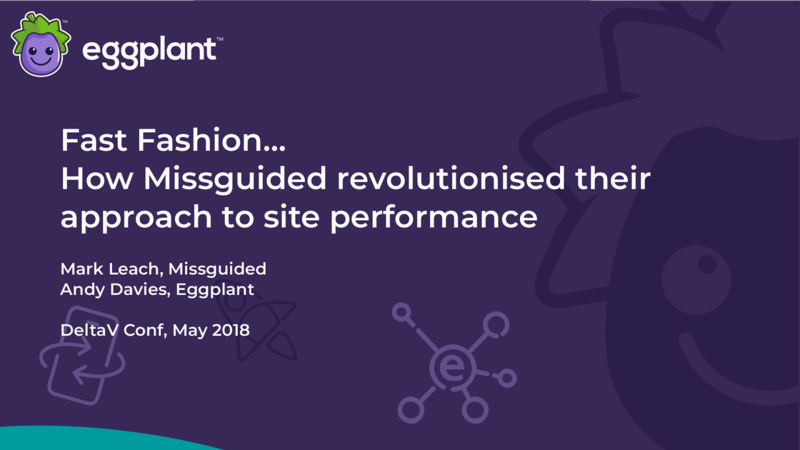 View Fast Fashion… How Missguided revolutionised their approach to site performance on Notist.